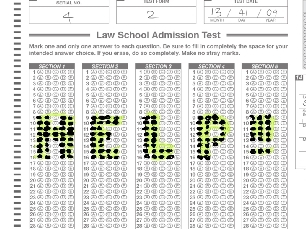 The LSAT consists of four scored sections, an experimental section, and a writing sample. It is offered in June, October, December, and February. “With well over fifteen years and thousands of hours of experience, I have honed techniques that cannot be found elsewhere. I will supply you with the best available materials as well as access to over 30 released LSAT tests with detailed explanations for each question. Recent students have earned admission to Harvard, Georgetown, and NYU.